Getting messages from unknown numbers on WhatsApp can be alarming, especially in a India where the app is so prevalent. So WhatsApp wants to make sure users get some idea of who is sending them a new message with vCard indexing. 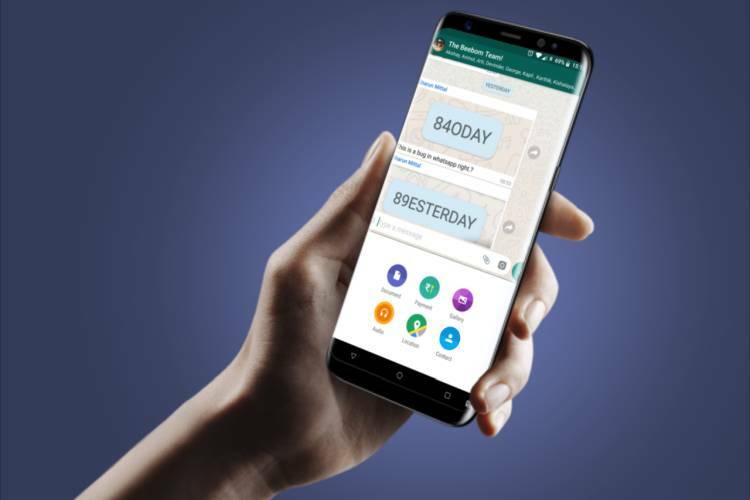 What this means is WhatsApp will keep a database of numbers shared by users as a handy way of conveying name and other details to those who get a new message from them. The update is live on the Android beta channel (version 2.18.111) and utilizes the vCard format which has been around for a long time now. A vCard is contacts data that can be read by most messaging apps. When WhatsApp detects a vCard in one of your chats, it will store this data, freeing you from the burden of saving every number before messaging them to keep a track of who is messaging you. 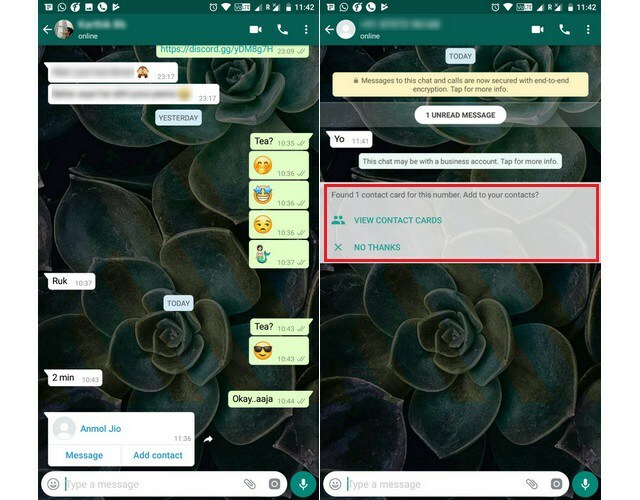 Now WhatsApp lets you quickly check the name of the contact from the vCard when you get a message from them, even if you neglect or forget to save their number. Karthik sends Anmol’s number to Nadeem. WhatsApp will index Anmol’s vCard, but only for Nadeem. Now Nadeem can send Anmol a message even without saving his number. When Anmol replies, Nadeem can easily check the name of the contact. Indexing of vCards is particularly handy for when you don’t want to save a number, but you know there will be a message coming later. Especially in India, where everyone you come across has a WhatsApp number. Now you can just leave the vCard in the chat you got it on, and message the contact directly.